Small, unassuming and often overlooked, Jordan is a country brimming with historic attractions and natural beauty. 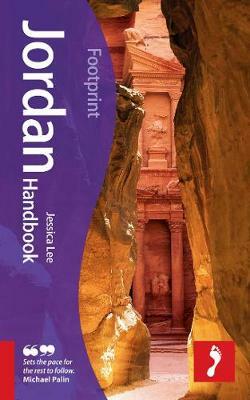 Written by a regional expert, Footprint's new guide includes detailed coverage of Jordan's history, culture and archaeology with plans and details of all the major sites, as well as those off the beaten track. This guidebook also offers advice on how to make the most of the stunning scenery, including the best places for camel safaris, diving and snorkelling, rock climbing and archaeological digs. With comprehensive listings on where to sleep and eat for all budgets and detailed maps to help you get around, Footprint's Jordan Handbook will help ensure travelers enjoy the very best experiences. * Background information on history, culture, religion, landscape and archaeology * Plans and details of all the major sites and as well as those off the beaten track * Highlights the best activities this stunning country has to offer from camel safaris, diving and snorkeling to rock-climbing and archaeological digs * Includes information on how to get there and how to get around plus carefully planned itineraries to help you have the best possible experience whether you're traveling for two, three or four weeks * Features indispensable advice on traveling with children * The heart of the guide is divided by region and each region features an overview map, local information on how to get around and detailed street maps where relevant * Detailed listings on where to sleep, eat and play are provided for every destination within each region, enabling you to have an even better travel experience.